This elegant ranch floorplan welcomes you with its homey front porch and opens into a large foyer before pulling you into the sublime great room. The lovely chefs-style kitchen over looks not only the quiet breakfast area but also opens into a formal dining room. 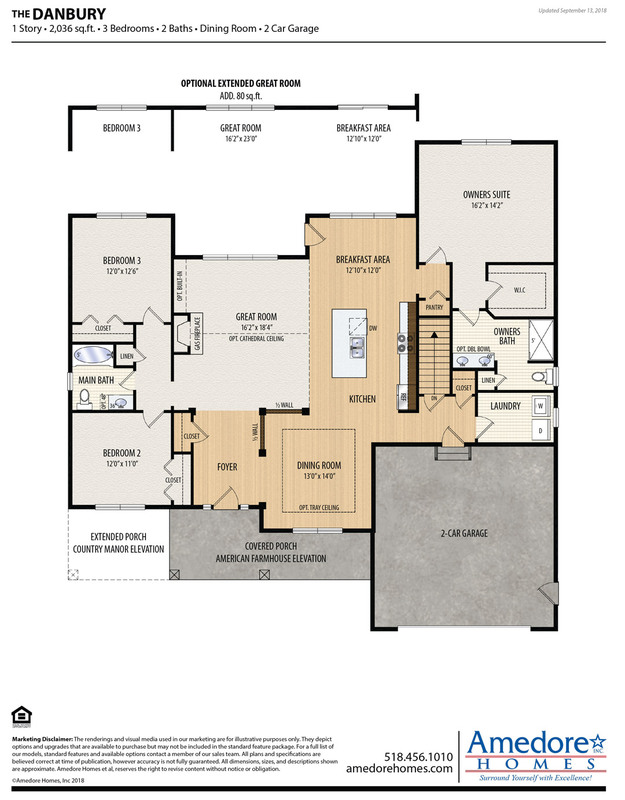 The sumptuous master suite features dual walk-in closets and a large master bath.